From the time he was six years old, Van Shaw was raised by his Irish immigrant grandfather Donovan to be a thief—to boost cars, beat security alarms, crack safes, and burglarize businesses. But at eighteen, Dono's namesake and protégé suddenly broke all ties to that life and the people in it. Van escaped into the military, serving as an elite Army Ranger in Iraq and Afghanistan. Now, after ten years of silence, Dono has asked his grandson to come home to Seattle. "Tar abhaile, más féidir leat"—Come home, if you can. Taking some well-earned leave, Van heads to the Pacific Northwest, curious and a little unnerved by his grandfather's request. But when he arrives at Dono's house in the early hours of the morning, Van discovers the old thief bleeding out on the floor from a gunshot to the head. The last time the two men had seen each other Dono had also been lying on the floor—with Van pointing a gun at his heart. With a lifetime of tough history between him and the old man, the battle-tested Ranger knows the cops will link him to the crime. To clear his name and avenge his grandfather, Van must track down the shooter. Odds are strong that Dono knew the person. Was it a greedy accomplice? A disgruntled rival? Diving back into the illicit world he'd sworn to leave behind, Van reconnects with the ruthless felons who knew Dono best. Armed with his military and criminal skills, he follows a dangerous trail of clues that leads him deeper into Dono's life—and closer to uncovering what drove his grandfather to reach out after years of silence. 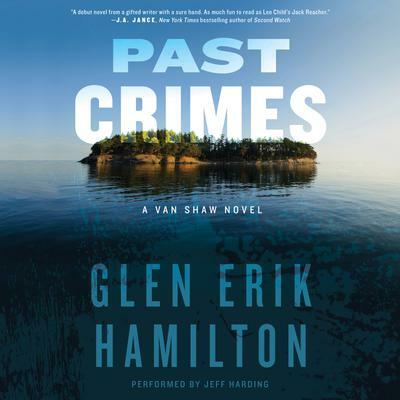 As he plummets back into this violent, high-stakes world where right and wrong aren't defined by the law, Van finds that the past is all too present . . . and that the secrets held by those closest to him are the deadliest of all. Edgy and suspenseful, rich with emotional resonance, gritty action, and a deep-rooted sense of place, Past Crimes trumpets the arrival of a powerful new noir talent.